LAHORE: The Pakistan Tehreek-e-Insaf (PTI) provincial government has decided to increase the ticket price of TDCP’s sightseeing double-decker bus operating in Lahore by almost 40 per cent, attributing the increase in rates to the rise in diesel prices. Informed sources told Pakistan Today that the government would reconstitute the board of directors of Tourism Development Corporation of Punjab (TDCP) within two months after which the proposal to increase the ticket price would be presented before the new board. 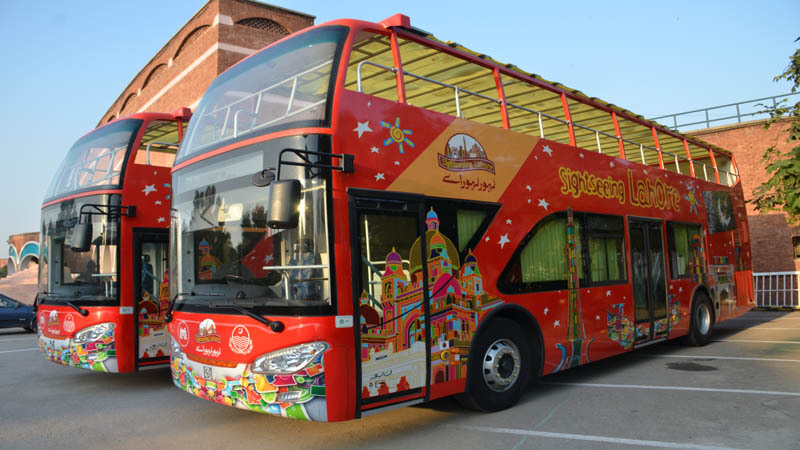 The sightseeing bus operates on five routes in Lahore — one is from Qaddafi Stadium to Wahga Border with a ticket price of 300, the second is from Qadaffi Stadium to Lahore Food Street with a ticket price of 200, the third route is between Qaddafi Stadium and Lahore Fort with a ticket price of 200, the fourth route takes the tourists from Qaddafi Stadium to the Walled City, while the fifth bus goes between Lahore Zoo and Greater Iqbal Park with the ticket price set at 200. Students can avail a fifty per cent discount on all five aforementioned tickets. According to TDCP sources, at least 15,000-20,000 people utilise the tourist bus service during the peak season — from Sept till March — while 2,000 to 5,000 tourists use the bus to see Lahore during the normal months. Talking to Pakistan Today, university student Tayyaba Moazzam said that the government should promote tourism in Pakistan keeping in view all socio-economic classes, including students. “Many students of public universities belong to low-income groups and cannot afford expensive tourism and this is one reason that tourism is not picking up in Pakistan among the students. If the ticket prices of these sightseeing buses is increased, it will take away tourism opportunity from many students. It seems that the government is targeting only the upper class students and educational institutes when it comes to tourism,” she added. A frequent traveler and tourist Fareed Khan was of the view that if the ticket prices for the buses is increased, it might not affect the tourist influx as it is affordable for those who like spending on such activities. “I might not stop taking the bus ride even if the ticket price is increased because there is no other entertainment for me or my family and I can afford it, but it might affect the low-income groups,” he said. A local tourist-guide said that many people inquiring about the ticket money of the bus belong to the upper-middle or upper-class and the amount does not matter for them. “The general impression of tourism in Lahore is that it is for the elite and I hardly find any lower-middle or poor people enjoying the bus ride,” he said. Muhammad Zubair, an office boy of a government office said that his children have asked him several times to take them for a ride on the double-decker bus my salary does not allow me to spend on such activities. I don’t think there is any entertainment or tourism activity for people like us here,” he lamented. 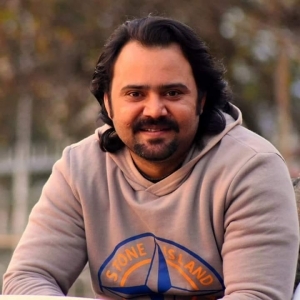 Aaleen Zaryab, a psychologist, said that discrimination between social classes by government is not acceptable and if the lower classes are not provided with any entertainment and tourism, it would result in an increased crime rate. “In my opinion, tourism is equally important for the less privileged. If the cost for such activities is increased, it will only frustrate them more and might even provoke them to turn to a life of crime to fulfill their wishes,” she added. TDCP’s incumbent Managing Director Mian Shakeel said that there would be no effect on tourism if the ticket prices are increased. “The ticket prices are being reviewed due to an increase in the price of diesel. The cost of diesel has increased manifold since the launching of the bus service therefore it is inevitable to increase the rates,” Shakeel explained. He added that local and foreign tourists were enjoying the sightseeing bus service and it is unlikely that an increase in prices would impact the number of tourists. Punjab Tourism Minister Raja Yasir Humayun Sarfraz told Pakistan Today that government money should be spent on health and education and tourism should be made self-sustainable by all means. “I don’t think that an increase in ticket prices will affect tourism in Lahore. In my opinion, tourism is for those who can afford it and have time for it whereas the poor do not. Tourism should be made self-sustainable and government money should be spent on basic needs of the people,” he said. The minister said that the ministry was planning to extend the routes of the sightseeing buses so that tourists could also visit other sites in the province.